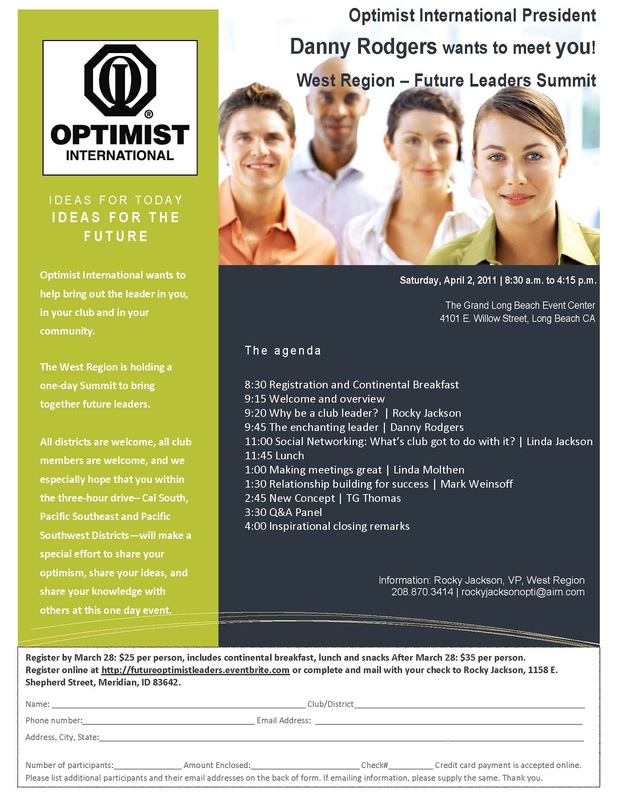 The West Region of Optimist International will host a Future Leaders Summit on April 2. New members, veteran members, and potential members are all invited to learn more about the opportunities for involvement that exist within our Optimist Clubs, Districts and Optimist International. 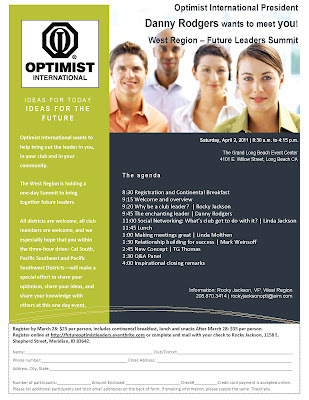 Click on the picture to enlarge and print or download the Future Optimist Leader flyer here. Don't wait! Register online today. http://futureoptimistleaders.eventbrite.com/. We hope to see you there.